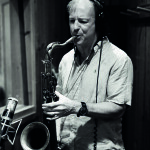 The Jazz department, led by Professor Tommy Smith OBE, internationally-renowned saxophonist and major force in European jazz, is vibrant and energetic, and continues to produce successful musicians and new voices within the UK jazz scene. Studying Jazz at the Royal Conservatoire offers a high level of training aimed at cultivating your development as a creative and versatile jazz performer. 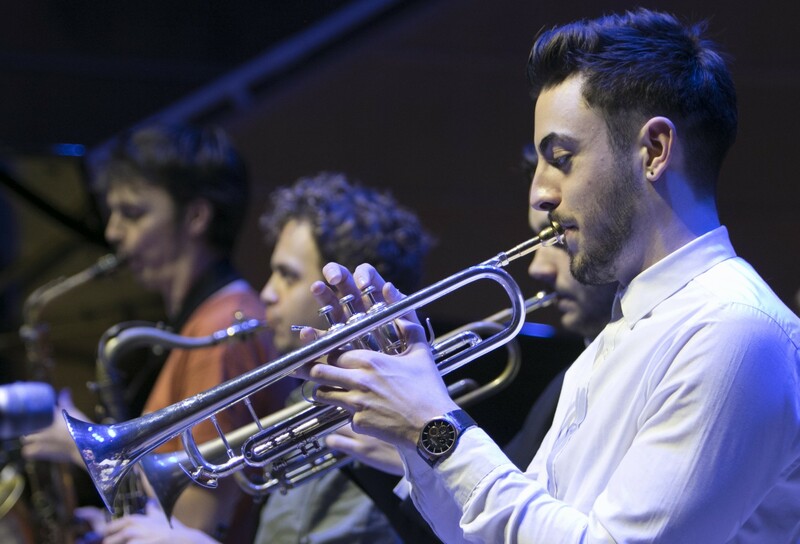 The BMus programme explores jazz in the broadest possible terms, and provide the opportunity to play, perform, compose and record in many different jazz styles and settings. The BMus in Jazz is a specialist pathway for a performance career in jazz. 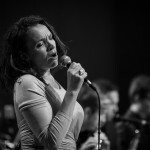 It is the first and the only full-time degree level jazz course in Scotland and offers many creative and artistic opportunities to you as a performer across a wide-ranging curriculum. You’ll receive tuition from some of the finest jazz musicians and educators in the UK. Currently we offer the highest amount of contact time offered anywhere in the UK with 90 minutes of individual lessons each week on your principal study instrument, with the opportunity to study a second instrument made available across all four years of study. This allows you to maximise your instrumental skills and nurture your creative potential as an artist. 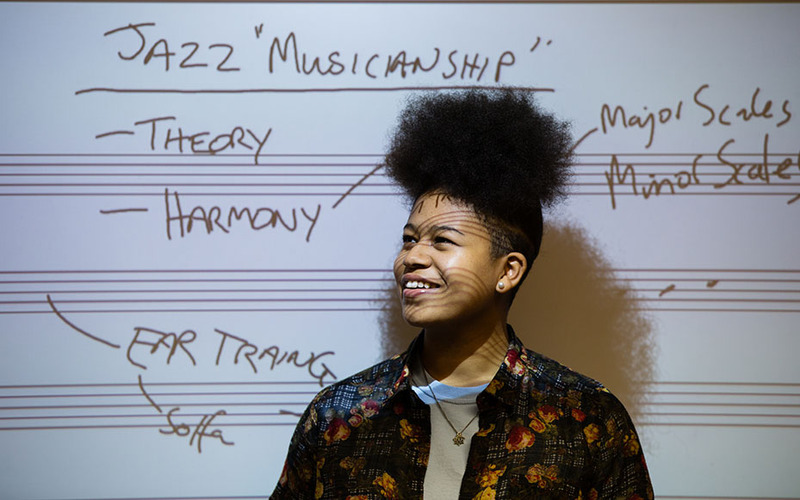 The BMus programme is delivered to a small, focused cohort of students in each year group that form a unique ensemble and grow together throughout the BMus jazz pathway towards graduation. As a student, you are also encouraged to interact with other year groups and students from other disciplines across the RCS in the spirit of our cross-disciplinary curriculum. Through class teaching in our dedicated jazz studios, you’ll study the essentials of chord-scale harmony, improvisation, classic repertoire, composition, history, music business and arranging. Our vision of jazz is comprehensive and inclusive, and you’ll be introduced to the full range of contexts from solo and ensemble work through to big band settings. Studying Jazz at the Conservatoire provides numerous opportunities to perform both in and out of the institution. On campus are our Blue Mondays concerts (also streamed live on the internet), featuring students and tutors, often performing alongside special guest performers. 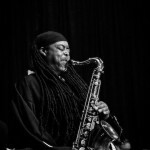 Past clinicians have included Makoto Ozone, Courtney Pine, Jacqui Dankworth, Branford Marsalis, David Liebman, Peter Erskine, Paolo Fresu, Bill Evans, Bob Mintzer, Randy Brecker and Arild Andersen. Students also take part annually in a BBC broadcast recording for Radio Scotland’s Jazz House programme, in which they perform their own compositions. In addition, 4th year students each year undertake a 3-day recording and mixing session with Nimbus Records, resulting in an album release on the record label. The Jazz department maintains close ties with the Scottish National Jazz Orchestra. 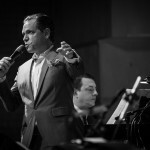 This relationship with what many consider Europe’s foremost contemporary big band has given students in Jazz at the Conservatoire access to performances and rehearsals by Kurt Elling, John Scofield, Gary Burton, Joe Lovano and Gunther Schuller . Previous students of the Jazz department have been recipients of the prestigious Yamaha Jazz Scholarship, with pianists Peter Johnstone and Utsav Lal obtaining scholarships in 2013 and 2014. 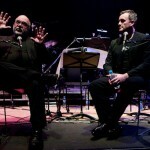 They also recorded a CD for the cover of Jazzwise magazine, and performed at the Houses of Parliament in London. As a Jazz student at RCS, you will reap the full benefits of highly modern academic facilities, combined with the highest quality teaching in a city brimming with jazz, and a country resplendent with artistic opportunity. You will tackle the fundamentals of jazz composition and expand your knowledge of jazz repertoire in simulated live performance sessions. You will also develop your aural awareness, sight-reading, sight-singing and musical dictation skills. You will be given a broad overview of the history of jazz and you will look ahead to working in the music business learning how to create a biography and an invoice. Your jazz composition skills are at the core of your learning in year two: you will perform your own compositions and write for a jazz ensemble. 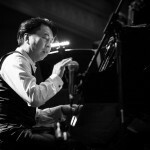 Performance sessions will focus on learning classic jazz repertoire, melodies and chord progressions completely by ear. Underpinning this will be the development of your historical understanding of jazz from Mingus through to Acid Jazz. Music business classes will cover topics such as performance contracts, riders and stage plans. 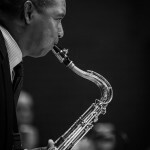 You will continue to develop and integrate your understanding of all areas of jazz composition. For the first time, you will create a jazz arrangement for a big band and get to grips with producing jazz in a recording studio. Your ear training skills will be further developed with a focus on conducting, rhythmic duets, and sight-singing. You will learn how to develop a mock funding application. 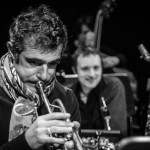 All of your composition skills will be put to test as you compose and arrange original works for a jazz orchestra. You will also further develop your jazz production skills in the recording studio and record an end of year CD for Nimbus. As you prepare to graduate, music business classes will focus on developing a personal website. 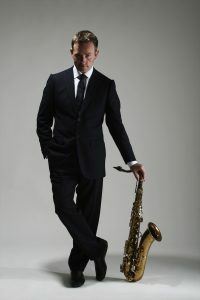 Tommy Smith (b.1967) is a leading light in European jazz, first and foremost as one of the finest saxophonists of his generation, and latterly as the founder and current director of The Scottish National Jazz Orchestra (SNJO). 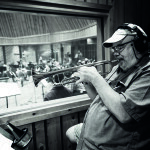 These career-defining achievements are framed by his status as an international recording artist; a composer and arranger of extraordinary ambition; and not least, as a jazz educator. His prolific career began in earnest when, aged only sixteen, he recorded his first album Giant Strides. He was rewarded with a scholarship to Berklee College of Music, an experience that has shaped his affirmative approach to jazz. Since then, he has made twenty-seven solo albums as a leader for Blue Note, Linn and his own label Spartacus Records. He also holds three honorary doctorates from Heriot-Watt, Glasgow Caledonian & Edinburgh Universities and a Professorship from the RCS. His last group album KARMA won him his seventh Scottish Jazz Award for album of the year. Tommy Smith is also founder/director of The Tommy Smith Youth Jazz Orchestra  and has been Head of Jazz of the first ever full-time jazz course at the Royal Conservatoire of Scotland since 2009. 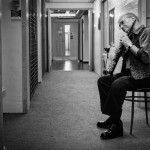 At the RCS he teaches Saxophone, Music Business, Chord Scale Harmony, Jazz Repertoire, Studio Recording, Performance of Jazz History and Notation by Hand. Our teaching staff includes players of the Scottish National Jazz Orchestra. The RCS Jazz Pathway enjoys the use of two completely dedicated jazz ensemble spaces within the main Renfrew street facility. One of these dedicated jazz spaces is a fully equipped recording facility that gives our students a tangible edge in gaining experience in professional recording and production techniques. Each space is equipped with a Yamaha grand piano, drum set, smart board, listening centre and amplifiers for bassists and guitarists as well as moveable acoustic dampening. The recording studio boasts an extensive array of microphones and effects units necessary for producing high fidelity recordings digitally. Jazz concerts and recitals are frequently held in the Stephenson Hall, The Ledger Room and the AGOS facility within the RCS. Students have also been known to perform informal concerts in the café bar area from time to time. 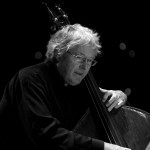 Jazz graduates have been recipients of the prestigious Yamaha Jazz Scholarship, with bassist David Bowden and pianists Peter Johnstone and Utsav Lal obtaining scholarships; Peter and Utsav have also recorded a CD for the cover of Jazzwise magazine, and performed at the Houses of Parliament. For more information about alternative funding sources, including external scholarships and bursaries, please visit here . The BMus Jazz pathway audition is designed to assess an applicant’s improvisational skills. There are two stages to the Jazz audition. Submit a video of yourself performing the following pieces listed below with a live section or a play-a-long/minus-one backing track. Performance of OLEO in Bb concert, by Sonny Rollins at any tempo [Singers may alter the key to suit their range.] You must perform the OLEO melody plus a minimum of 3 improvised choruses [AABA x 3] of improvisation interacting musically with the other musicians. Drummers should play the melody rhythmically. All solos should be improvised. You should not play a transcribed solo. Your choice of a ‘Jazz standard’ that contrasts the Rhythm Changes. The video audition must be submitted online via Acceptd. The deadline to submit your video is 1 October 2018. You then may be called back for a live audition conducted by a member of the RCS Jazz faculty in November. Before your live audition, you will have an additional 15 minutes in an allocated room to warm-up. Please note that no drums, guitar/bass amp will be provided in the warm-up room. Your performance must contain improvisation and you will play with a live trio from the Royal Conservatoire of Scotland. A rhythm section will be available at the audition. A brief aural test featuring intervals, chords, scales and modes. An informal discussion concerning your goals and aspirations. An opportunity to ask the panel questions about the Jazz course, the Scottish Jazz scene and Conservatoire life. The audition room is equipped with a grand piano, jazz drum kit, vocal PA and guitar and bass amps. All acoustic and electric bass players, brass players, guitarists and saxophone players are required to bring their instruments to the audition. A vocal PA and microphone will be set up in the room for vocalists. Amplifiers for guitarists and bass players will be provided in the audition room but not in the warm up room. Drummers should bring sticks and a practice pad, as the warm-up room will not have a drum kit. A standard jazz drum kit (bass drum, floor tom, upper tom, snare) with two cymbals and hi-hat will be provided for drum auditions (double-bass pedals are not provided). Drummers can bring their own cymbals if they wish. 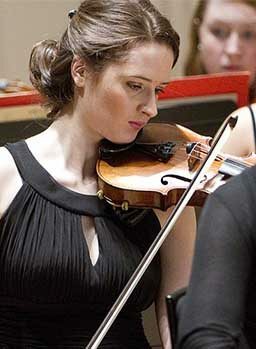 Prior to submitting a recorded audition, you must apply via UCAS Conservatoires. Recorded auditions can be easily submitted online using Acceptd. You will need to create an account, but then you can easily upload the recordings you wish to be considered. Recordings will not be considered until a UCAS Conservatoires application has been submitted. You then may be called back for a live audition conducted by a member of the RCS Jazz faculty. All acoustic and electric bass players, brass players, guitarists and saxophone players are required to bring their instruments to the audition. A vocal PA and microphone will be set up in the room for vocalists. Amplifiers for guitarists and bass players will be provided in the audition room but not in the warm up room. Drummers should bring sticks and a practice pad, as the warm up room will not have a drum kit. A standard jazz drum kit (bass drum, floor tom, upper tom, snare) with two cymbals and hi-hat will be provided for drum auditions (double-bass pedals are not provided). Drummers can bring their own cymbals if they wish.